All Village Estates homes currently listed for sale in Highland Village as of 04/22/2019 are shown below. You can change the search criteria at any time by pressing the 'Change Search' button below. "Well-maintained one-story home on gorgeous heavily treed lot close to Highland Village Elementary. Three bedroom, two bath house with recent hardwood, carpet and tile throughout. Freshly updated kitchen with granite counter tops. Fresh paint on all exterior trim and siding. Great location with a backyard perfect for entertaining! New roof in 2017, hardwood floors in 2015, walls and baseboards painted in 2015. Tons of character and move-in ready!" "Don't miss this beautifully updated home with a backyard Oasis in Village Estates. 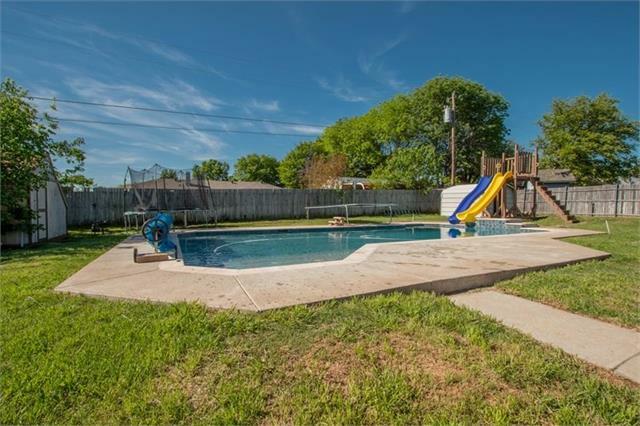 This over sized lot allows for a huge heated pool with slides and diving board leaving plenty of grass for the kids and pets! Numerous updates include gorgeous laminate flooring, granite counter tops, fresh interior and exterior paint, new 2 inch blinds, and a new stainless steel refrigerator that stays with the home. W-D stay if buyers prefer. Roof was replaced in 2018. All cast iron pipes have been replaced"